Obituary for Simonne Anne (Briere) Faneuf | Brown Funeral Homes, Inc.
Simonne A. Faneuf, 75, of Blackstone, passed away peacefully at home, with her loved ones by her side. Born and raised in Woonsocket, RI, she was the daughter to the late Roger and Camilla (Lecours) Briere and the loving wife of Daniel Faneuf, who celebrated their 50th wedding anniversary together in August of 2016.
the store closed its doors, just two weeks shy of her 25th anniversary. Simonne was also an active volunteer at Daniels Farmstead in Blackstone, baking sweet treats for their fundraisers. 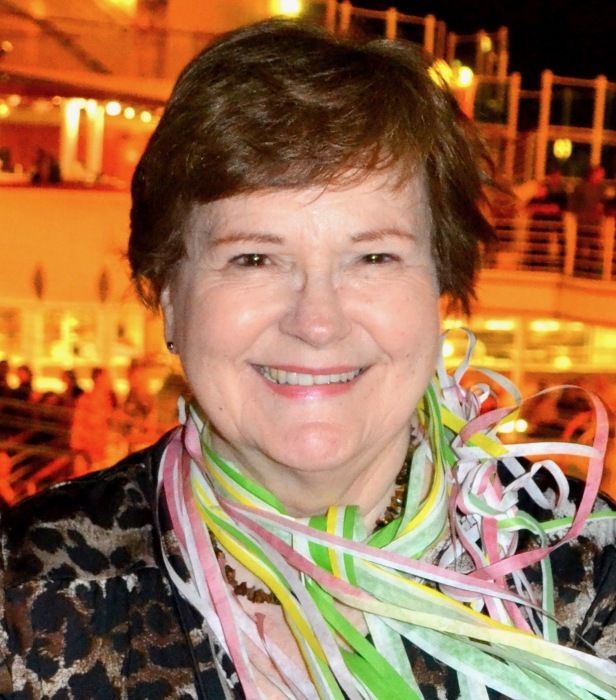 Having gone on over 20 cruises all over the world, she loved to travel; enjoyed studying her family’s genealogy; maintaining her collection of family photo albums and scrapbooks and truly loved her New England Patriots. She would watch every game wrapped up in her Patriots blanket while cheering on Tom Brady. She will be cherished and greatly missed by her husband of 52 years, Daniel Fanuef; her loving son, James Baxter and his wife Wendy, of Los Angeles, CA; siblings, Robert Briere of Port Charlotte, Fl, Roger Briere of Pascoag, RI, Jeannine Briere of Port Charlotte, FL and Rita Wilson of Port Charlotte, FL. Besides her parents, she was preceded in death by her brother, Maurice Briere. The family wishes to express their sincere appreciation and gratitude to Simonne’s caregivers, Andrea Grubofski, Mary Jane Emidy and Ann Durham. As well as the ALS Association of MA, Compassionate Care ALS and Seasons Hospice for all the support they provided in their time of need. A Memorial Mass, at 10 AM, will be held December 29, 2018, at St. Paul’s Church, 48 St. Paul Street, Blackstone. Burial will be held privately. In lieu of flowers, the family wishes your consideration in making a donation in Simonne’s honor to: ALS Association of MA, 685 Canton St., Suite 103, Norwood, Ma, 02062 or to Compassionate Care ALS, PO Box 1052, West Falmouth, MA 02574.